ALP 10: Get your agency off the proposal-writing treadmill! 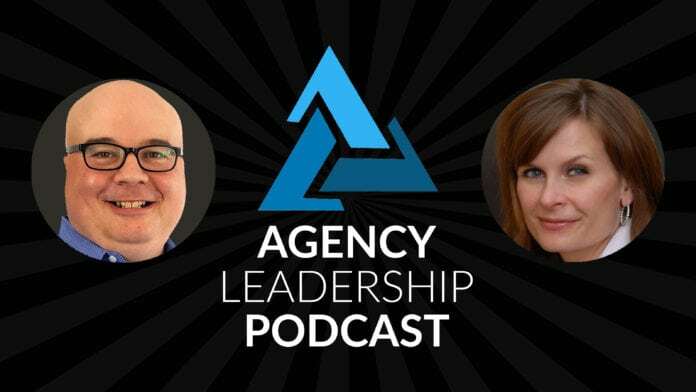 In this week’s podcast, Chip Griffin and Gini Dietrich explain why agencies might want to avoid the prolific production of proposals for prospects. Instead, Gini lays out the example of how her own agency handles the business development process to build stronger client relationships. Along the way, the co-hosts explore a range of challenges in the business develop, client relationship, and proposal creation process — along with practical advice on how to handle them. And a few funny stories along the way. 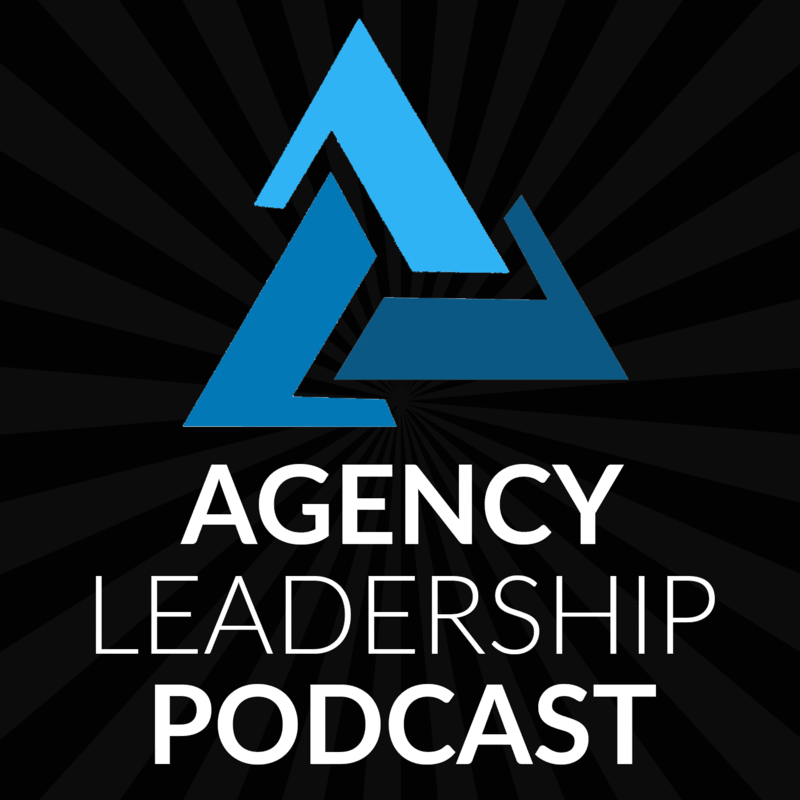 CHIP: 00:35 Hello and welcome to another episode of the agency leadership podcast. I’m your host, chip Griffin, and I am Gini Dietrich and we’re here today to tell you why you shouldn’t write proposals. This is something that every pr agency, owner and executive has done countless times in their careers, whether on their way up or in their current positions, and yet neither one of us are huge fans of proposals, but I think you’re even more violently anti proposal than I am. So I’ll give you the floor first, Gini. GINI: 01:08 Well, here’s the thing with proposals, we tend to, and you know, I came from the big agency world where this is what we did. We tend to say sit with a client or a prospect, I’m sorry for maybe an hour and we asked them all sorts of questions and they may be very smart questions like, what are your business goals? What are you trying to achieve? 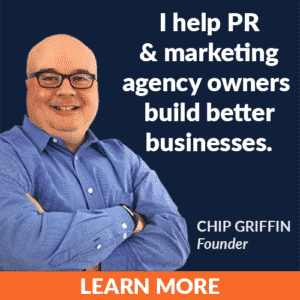 Have you worked with a PR firm in the past? What was your experience? What did you like, what you like? You can ask really smart questions and then we go back to our office and we take all the information and we write a proposal and we give all these great ideas and some of them are creative and smart and some of them are based on experience that we’ve had in the past with similar companies are in the same industry or things like that. GINI: 01:46 And then we put forth the proposal and then one of two things happens. Either they hire so they don’t and if they hire us they then expect us to execute on that proposal because that’s what we’ve done and we’ve budgeted based on that proposal. Right. But we really don’t know enough about the client’s business to be doing that. We don’t. We don’t have enough information. And so what we find happens is we get into the organization and we start to execute on some things and it’s very tactical because it’s not. It wasn’t based on something strategic. It was based on ideas. We find, you know that things aren’t exactly as we thought they were or we didn’t ask, we didn’t know which questions to ask. We didn’t ask the right questions or maybe the prospect embellished or didn’t tell the full truth because we weren’t, weren’t undone under NDA or whatever happens to be and suddenly we’re stuck executing this proposal that we put in this program that we put into a proposal that doesn’t make sense for the client or not everything does or it’s not strategic or it’s not measurable or there’s a lot of different reasons, right? GINI: 02:49 So I am vehemently opposed against it. And the other thing is, is why are we giving her our ideas away for free? CHIP: 02:57 And I feel like you’ve had your caffeine Geneva that really feel strongly about this, but I think that may be the longest monologue you’ve yet had on leadership podcast. So. So while Jenny calms down just a little bit pops a valium or whatever. Yeah. So look, I, I agree with just about everything that Jenny said. I think to me it comes down to too often we’re writing proposals without listening and that may be because the client didn’t give us a chance to listen or it may be because we jumped the gun. I was involved with an agency a number of years ago and one of the things that they love to do was to go into pitches based on a conversation with a friend or a contact there and they would put together a full campaign proposal and it was before they’d even talked with the decision maker once they simply had a little bit of Intel that they maybe had some inkling of what it was that they’re looking for, but they had no idea of scale, scope, budget, goals, motivations, anything. CHIP: 03:57 And I think too often we’re so excited at the prospect of potentially getting new business that we just want to sit down and we want to write out that proposal. We want to dream up the cool things that we could do. The fun things we’d like to execute on that we think might help that client and of course plugin the dollar figures that we’d love to receive for it, but that is not the foundation of a good relationship. Even if you do win the business, you’ve probably set expectations all wrong, but more often you’re just not going to win the business because you didn’t really understand what they were really trying to achieve. CHIP: 04:59 and, and it’s, it’s probably based on tactics, right? Because typically, typically clients want to talk to you about tactics. Like they come to you, you know, I’ve got a lot of experience on the digital side of the equation, so people will come say I need a new website right now. I need to get involved in social or what will fantastic, why, why? And you really need to get to the why. And that really comes down to understanding not just what your primary contact but the actual decision maker is looking for because your primary contact may be just looking to relieve an individual pain point pain point. I’m tired of getting yelled at by senior leadership over my ugly website or the fact that we don’t post a twitter enough or that they didn’t like some posts on the blog. And then these are all real examples by the way that I’ve seen in real client situations. CHIP: 05:44 And oftentimes that has not a wit to do with what they’re really trying to accomplish as an organization. And so if you’re not able to tie it into that, you’re going to write drivel anyway. So why write dribble? You know, let’s, let’s start building relationship. And I, I really liked the way that you sort of teach people how to get beyond the proposal and sort of put that in the rear view mirror and say, okay, that’s the old fashioned way of doing it and instead there’s a better way. So, so why don’t you tell us a little bit about that. And I know that you’ve got, I, you’ve got a whole webinar on this, right? GINI: 06:14 We do have a whole webinar on it. We do. Um, yeah, because I mean, I really, really strongly believe that it’s probably, it’s been four years, maybe five that, um, may, maybe it’s five in January. Um, we said, okay, we’re not doing this anymore. I’m tired of being ghosted. I’m tired of prospects saying, well, I don’t know. We don’t know how much it’s gonna cost. Why don’t you tell us what it costs and you know, you put all this time and energy into a proposal and then you never hear from them again. Or they try to negotiate you down to $2,000 a month but still want to keep everything that they wanted. And it’s like a, you know, $50,000 a month program. So we stopped doing that and instead we would have a meeting with a process or are we still. We have meetings with the prospect and we talk about all the things that we would anyway. GINI: 07:00 And then when you know, in the last five or 10 minutes of the conversation, we say, okay, the way we work is this, we come into your organization and depending on you know, what you need, I’m there or my team goes, just depending on the needs and who is involved. But we come into your organization, we spend two days with you and here’s what we do. We dig into your business goals, were to dig into your data. We dig into all this kind of stuff and we figure out what makes most sense for your organization. And we can’t do that because it’s, we, we, we can’t do that without spending that time with you because otherwise it’s not going to be strategic and it’s going to be based on our experience with competitor or industry or whatever it happens to be. And that that cost is x.
GINI: 07:46 If Jenny’s in the room, it costs $10,000 more. If Jenny’s not, then you know, so you can negotiate that. So you get a decision right in that meeting of whether or not they want to proceed with that and you don’t have to go back and go through all this rigamarole. So instead you say, okay, it’s, let’s say it’s $10,000 to actually we charge more than that, but we, I think we started at 10 and we’ve slowly over the years increased it. It’s $10,000 for us to do that plus expenses to come to you. And they either say, Gosh, you know, that’s really great. Yes or well that was really outside of my budget or that’s all I, that’s all the budget I have. Do I really want to spend it on this? And then you can start to have a real conversation, right? So you see. GINI: 08:32 And if they say, yeah, that sounds great, then you go back to your office and you have a template id piece that you put together. It talks a little bit about the process. It talks a little bit about what you’re going to do. It gives a, a sample agenda, it tells them who you want in the room and we always make sure that the key executives are in the room for at least two hours at the very beginning and two hours at the very end and in between you, those bookmarks, you can have the marketing team or whoever needs to be, but you have, you have to have the executives for two hours on the front end and two hours on the back end and during that time you create all that stuff. So now you either have, you have a decision that’s been made in your initial meeting, so it’s not the right the proposal which takes a couple of weeks and send it off and then have another phone call you like, you get a decision and your sales cycle goes from six months to one day. CHIP: 09:24 I think this is a great approach that you take. It’s not quite the same one that I’ve done. Um, and actually before we proceed that I’ve got sort of an honest engine question for you, which is, have you, in the last five years, have you written any proposals or have you exclusively done this? So you’re exclusively completely faithful to this? I have to confess that I, I, I am weak sometimes then sometimes do end up doing proposals, uh, in certain cases where it appears to me that that’s the, the route of that particular organization. Usually large organizations, um, uh, will take, but you know, you never know, uh, I could be wrong, I could be too soft and if you’ve managed to go five years without, that’s, I think that’s fantastic. But let’s, let’s dive a little bit deeper because I think that, that, since you’ve got such a structured process for someone who’s interested in sort of replicating it, I’m not looking for you to give away all of your secret sauce, but you know, roughly how do you structure that, that onsite engagement, you know, obviously you’ve said that you had the senior leadership for the front and the back end, but you know what, what percentage of that is sort of them making a sort of a presentation. CHIP: 10:27 You have what they’re interested in, what they’re doing, how much of it is q and a, you know, kind of walk us through to give us a little bit more flavor. CHIP: 11:12 by the way, for anyone who’s contemplating this, that is key. Never, ever, ever do an engagement like this without getting paid upfront. GINI: 11:19 Ever, ever learned. Learned that one the hard way. Yes. Yeah. Yeah. So by this time, you’re right, they’ve made an investment so they’re much more willing to give you the information that you want. So we asked those questions. What are you trying to achieve? Um, what are your business goals? We get dig into revenue. We have dig into profit because part of what we do when we measure our work is that as we show a percentage of what what we’ve done from a return on investment standpoint has attributed to revenue and profit. Um, we ask about cell cycle and I mean every, everything that you could possibly get out of an executive into ours and then we take that information and we start to dig into the marketing with the marketing or communications team, so it’s target audience, brand personas, all that kind of stuff in day one. GINI: 12:08 And then day two we really work. We start to work with putting the plan together and dividing up responsibility and we also by that point have a really good idea of what their budget is. And so we can then say, okay, if your budget truly is only five grand a month, then you guys are going to have to do these things internally, these 10 things and we can take these 10 things, you know, whatever happens to be. So we really work on that. But the biggest thing that we have found is that they always spend more money from a month to month retainer basis than they would have if we had just done a proposal and said this is how much it’ll cost. CHIP: 12:46 No, I think that’s a great point. And part of that, I suspect is because you’re able to align what you’re suggesting more closely to what it is that they’re trying to achieve and you’ve also got enough ammunition that you can paint the picture for exactly the kind of difference it’s going to make sure that those are things that are very difficult to do after, you know, you have the typical, you know, hour or two conversation with the prospect where you spend half the time just talking about the prehistory of your organization as an agency and uh, you know, you, you, you shoot the breeze about the local sports team. And then, oh, by the way, maybe you get 15 or 20 minutes of real substance. Right? So the, I think that, you know, putting, putting yourself right there in front of them and, and you know, frankly, as much as, as you and I love virtual and I think we just had a show recently about running a virtual agency. CHIP: 13:31 There’s, there is no replacement for that in person. There’s no repeatedly with building the initial relationship with the client. It really makes all the difference in the world. Um, to have that, so even if you’re not following this overall process, I would encourage you to make sure that you’re seeing your clients in person. Um, and, and you know, a lot of our agency listeners, I’m sure have remote clients that they’ve never met in person. They may be seen on video chat. Uh, and that’s, that’s, you know, it’s not the end of the world, but you’re going to be so much stronger in your relationship with that client and be able to get through any difficulties down the road and make them stickier if you’ve had that in person connection. GINI: 14:10 You know what, that’s such a great point because we’ve actually tested it different ways and we’ve found that when we do the in person like that, it forces them to be focused. It forces them to actually show up. And we get started with the execution much more quickly because what happens if you don’t do something like this at the front end, you know, I mean, we’ve all had this experience. You have your first onboarding call, which is an hour, and then you do this in about six weeks later. You start to execute where this, you have the two days, it’s intense people’s brains, Phil, Phil, they, they feel like their brains are going to explode. Um, but they are so much more invested in you and in the success of whatever program you decide on together because of it. So it’s such a great point. And you’re right. I mean, I love the virtual piece, but it just doesn’t work as well. CHIP: 14:58 No, and it’s, uh, you know, I think a lot of it is that is that human connection that you make, you know, so apart from just the information, it’s, it’s building that personal bond that you can do and you know, of course sometimes that backfires. Sometimes you find out that there really is no chemistry. Although I would argue that it’s better to find that out early on in the relationship. Absolutely, absolutely. Road. But, you know, I’m thinking some of the larger agencies I’ve been in where, you know, perhaps I don’t own the client relationship where I parachuted in late, um, or, you know, been a replacement for someone else, depending on what the situation was. You know, that that first in person connection is so much different than the conference calls and even the video chat because, you know, I mean, frankly, if you’re in a larger agency environment, you’ve usually got, you know, a half dozen people and their side, half dozen people on your side, you know, everybody’s stepping on each other to talk, you know, there’s all sorts of peacocking going on, on both sides and so you don’t really have a chance to sort of nurture the relationship which, you know, in person you can even just during breaks, you know, you just, you know, you go to the coffee machine together or something like that. CHIP: 15:56 And um, and I’ve found that that’s incredibly beneficial regardless of the situation that you’re in to, to have that, that bond, you know, one of the things that strikes me is, you know, it sounds to me if I’m listening to your process correctly, that, that essentially, you know, by day two you’re already sort of presenting your solution. Is that, is that an accurate assessment? GINI: 16:17 Yeah. I mean, it’s not a, it’s not a what we would consider as an industry, what we consider a full on plan, but it’s definitely two pages that says, um, here’s what we’re going to achieve together, here’s, here are our goals compared to your kpis, all that kind of stuff. And then, you know, we’ll figure out the tactical piece of it, how, how we execute and later, but there’s definitely a two. It’s a two page document that they get that’s, that shows exactly how it is. So yeah, we figured all that out and then we’re ready to go and I mean then you start to get your, your creative ideas going because now you know from a, from a key performance indicator standpoint what you’re trying to do. CHIP: 16:57 So is that something that you and the team sort of get together on on night one at the hotel after you’ve done with the client and sort of piece it together and, and how much of that is based just on Day One? How much sort of a homework have you done, if you will before you go in? Let me, I’m, I’m, I’m sure like me, you do a, as much research as you can before you go on site with somebody, but you’re kinda kind of give us a flavor for um, you know, as you go into it, you know, what kind of preparation you may have done. GINI: 17:24 So we have a list I’d say of maybe 20 or 25 things that we asked for an advance and that includes everything from access to it to google analytics and their crm to, you know, pass marketing pieces. Um, we always ask for access to their website, you know, stuff like that so that we can start to dig into the back end stuff. Um, and that really helps. So usually that right after signed a contract and sent in the sentence, the check or wire transfer to whatever, um, then we send them that list. So within the first week we have all of that and we tried to do the first that meeting within the first two and a half or three weeks depending on schedules, but we have all of that information and then we can go in and do all the research on stuff that’s actually inside their organization, not just on the stuff you can find externally. CHIP: 18:18 That’s key. I think for any kind of onsite meeting, you want to make sure you’re doing preparation, but particularly in a case like this, making sure that you’re asking for things up front. First of all, it it, again, it’s sort of a step in that demonstrating the seriousness of the relationship and you’ll start to learn very quickly will you know if the. If the prospect or client is not providing you with certain things that you’ve asked for, that you know that that’s a nice big red flag that you want to address right out of the gate. Because you know it depends. If it’s a large organization, it may be that they simply don’t have access to some of that thing and they’ve got to fight an internal turf battle, but you want to know that, right? Because, because how you’re going to solve it know if the group you’re working with doesn’t have access to Google analytics and whoever has the password won’t give it up. CHIP: 18:59 Well, you know, better to know that going in then, you know, then after you’ve gotten on site, and there are a lot of things like that where if you’re able to extract the information in advance, it will make that session, you know, so much more productive. And, and too often I see, uh, you know, agencies are frankly other organizations not put in the homework for these kinds of onsite meetings there, you know, the in and you typically see this out of people who are more, I guess I would say relationship focused, right? They’re, they’re just, they’re the kind of folks who say, look, I, you know, I can charm anybody, right? I, I, you know, I’m just that guy or that gal and that’s fantastic, but, but, but if you come in with a little bit of information, I bet you can apply that charm even better and so, so make sure that you’re doing that homework in advance because you want to make sure that that meeting is as productive as humanly possible and again, you know, bring out those red flags in advance because it’ll allow you to craft your strategy for how to deal with them as you move forward so you don’t get into a bad relationship, a bad situation. GINI: 20:04 Yeah. And I think that also allows you to find red flags that may made them in straight that they might not be a great client for you. So that’s the other thing I love about this process is at the end of two days a, you’ve been paid for it. So you’ve been paid for your ideas, you’ve been paid for your strategic thinking, you’ve been paid for all of that. And B, you get to, you get to quote unquote date. You get to decide if this is a great client for you. And if it’s not, you just very politely say, and there you go, good luck, and you’re on your way and you know, if it is, is going to be a great relationship for you, it is an ideal client, then you can continue working. So it’s, it does that as well. CHIP: 20:43 In your experience, how often do you end up walking away from your perspective after, so not they didn’t have budget or they didn’t feel it was a company. And how often do you go into that and say, Oh God, no, no, no, no, this isn’t happening. GINI: 20:55 Well, twice in five years. First the first time was with the client who were, they were great and I would have loved to work with them, but as we started to dig into their financials with them, which by the way, they’d never done. We discovered that they had spent all of their marketing budget on those two days. So in the first two hours we discover that. And um, so it allowed us to have the content up to date and realize that no, nope, they didn’t. Yeah, it was a large organization or was an association that was run by people who had full time jobs. CHIP: 21:32 Oh, okay. Yep. I’ve been there, done that. Having come from the public affairs space, I’ve dealt with a lot of associations, many run by volunteers and yeah, that’s not really that surprising that now that. Yeah. CHIP: 21:45 for those of you who deal with the association space, just be aware, you know, if, if it’s all run by volunteers and they haven’t hired association management firm to, you know, to, to actually run the show. CHIP: 22:58 yeah, no, that’s a, that is a huge red flag know. I mean, look, I mean a particularly in smaller organizations, you know, you tend to see a lot of sensitivity around financial numbers and, and how you share them. But there are ways to share that even for the most uncomfortable individual where you can do it, you know, since you’re not disclosing salaries or things like that. GINI: 23:20 And we, he and I’d had a conversation about what I wanted to do and he clearly either wasn’t paying attention or was distracted or something because we could have had that conversation before his team came in the room. But yeah. GINI: 24:48 Oh yeah, we’ll turn business down if they don’t want to work her process and we’ll say okay, well I mean I will say that’s our process and if that doesn’t work for you, that’s fine. Right? But I’m not going to pursue it. GINI: 26:31 we passed it at least until catcher and Pitcher, but here we go. Pitches and Catherine. Thank you. Yeah, no problem. I understand cubs fans, you know, backwards. Dyslexic. CHIP: 26:44 Alright, well on that lovely note, I guess we’ll wrap things up. I’m Chip Griffin and I’m GiniDietrich and it depends.